Do you have a Workplace Violence Policy and Emergency Management Plan? Recent FBI/DOJ statistics show that workplace shooting events are on the rise. Leaders and managers are increasingly aware of the need to prepare for these threats. At the same time, research shows that the larger the organizations, the least amount of effort are given to effective and proper planning, preparation, and resiliency. Shooting incidents are forcing the security sector to revisit best practices and standards in the effort to protect an organization’s assets and people. Take note gentle readers; a training class is not a best practice or standard! With what is a rise in frequency, scope, and severity of mass casualty attacks, organizations as a whole must fundamentally change how they react to violent events. We generally find that our cleints are significantly behind the curve. As we revise planning and education procedures around active shooter incidents, research shows that we are not moving quickly enough to develop realistic training, drills, and scenarios to shape best-practice response efforts. Further, there is an ever-increasing need for more effective utilization of technology to better communicated and account for people in the heat of these attacks. Establish a Workplace Violence Policy, and, Emergency Management Plan. Every organization needs a clear, concise, and deployable policy and plans for a proper response to incidents of violence. Typically, policies and plans provide critical guidance as to how people and incidents are to be managed. Include active shooter-specific response procedures in your Workplace Violence Policy and Emergency Management Plan. Include specific procedures in your plans; who does what, how, when, and where. Ensure that all employees have access to and understand the plan. Conduct regular training with your personnel. Properly train, and then retrain, your employees about your overall workplace violence policy and plan, to include a shooting event. Employees should be adept in how to report threats and how to respond during violent events. Develop a relationship with local law enforcement agencies. We all must be prepared to work closely with local law enforcement. They have a plan; does it parallel yours? The last thing you need is to yourself in the weeds exchanging information during or after the incident has occurred. Reach out to your local law enforcement agencies and develop a relationship with them well in advance of any problems. Let them both train in and get to know your facility better. Perhaps they will practice with you. Deploy an Emergency Communication System. Communication is key to critical incident notification. Numerous, reasonably-priced, third-party systems are available to you. Effective emergency communication often makes the difference between life and death. Maintain up-to-date employee information to best facilitate your Emergency Communication System. While violence may not be preventable, accurate, effective, and timely communication will save lives. 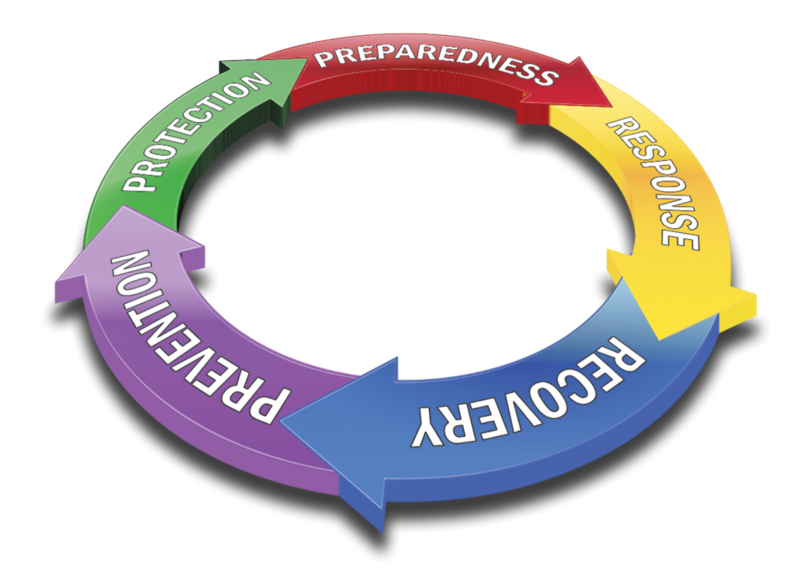 Conduct regular simulated workplace violence events with your incident response team with a focus on the post-event aftermath and its effect on people and the continuity of business. A violent event may last minutes. However, the repercussions could last for years. Also, be sure to include your Emergency Communication System in your exercises and testing. Finally, how often should I test? That is probably the most simple question to answer; you test and retest and retest to competency. For further information about how Trident can assist you in a Violence Mitigation Program or Emergency Management Plan, please contact us at (253) 852-7000. Get our most recent posts sent to your email inbox!